Purchase the Audible or Kindle Edition or another format from Amazon.com by following the link below. Signed copies are not available through Amazon.com. The audiobook is also available on iTunes. The President's only child commits suicide in a violent and senseless act. Motivated by his grief and compassion, he proposes an institution for people who have lost all hope. Aegis is intended to be a civilized alternative to suicide. There are only two rules: No communication is allowed with the outside world and, once individuals enter, they can never leave. After twelve years, what began as a noble social experiment turns into a hideous nightmare, fraught with controversy and public outrage. In response, Elias Charon is selected to be the first to enter Aegis and be allowed to leave. Ostensibly sent in by the new President to investigate the claims of abuse, a darker and heinous personal motive arises. With pulse-pounding suspense, The Aegis Solution takes the reader through a twisting, turning plot to an explosive and electrifying climax! "Wow! What a fascinating work. To describe the characters from an emotional perspective versus the physical appearance was a very nice touch. Vividly illustrated, I was drawn in and fully engaged throughout. I've become a fan!" "I was captivated after the first paragraph. The book was full of suspense, drama, and intrigue." "I thought The Aegis Solution was truly unique. You really have outstanding imagination." "Your words are powerful, rich, and so in-depth it's hard for me not to get lost in the world of Aegis!" "The Aegis Solution not only had me dying to know what happened next, I found myself intrigued by concepts, deep in thought for most of my experience." "Anyone who likes sci-fi, medical mysteries, black ops, or human struggles in their reading would enjoy this also. If you haven't read any of John's books, you really should treat yourself." 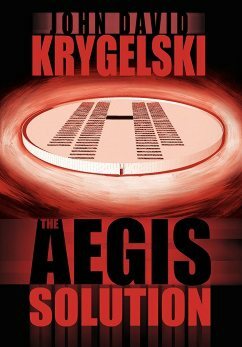 "I really enjoyed reading The Aegis Solution! Loved it, in fact. The characters were full of life, and I can see how something like this could happen. It gave me goosebumps." "Again, a fantastic read! Cover to cover I was trying to decide where you were going, and I had many roads open yet you led me down one I hadn't seen."